Image source: The Luther Parker Collection at the NLP Digital Collections. Colorized courtesy of Algorithmia. From a Supreme Court en banc decision dated 22 March 19101, we get this story of a duly elected public official in the then–town of Lipa who was stripped of his office on the basis of a technicality. That official was one Teodoro Olgado, elected to the post of Municipal President in 1907. This was an elective position in the Philippines “under the Spanish and American colonization2” and is comparable to the present day town or city mayor. Just six years earlier in 1901, members of the First Philippine Commission had been meeting with municipal representatives, including those from Batangas, to explain the Municipal Code which the Americans were introducing and to determine the receptiveness of the civilian population to the return of civilian governance4. The reader will please note that these meetings were being held while the Philippine-American War still raged. In fact, civilian rule was not formally returned to Batangas until 4 July 1902, after General Miguel Malvar and his forces had surrendered to the Americans to finally end the war5. The 1907 elections, therefore, were significant in that these were the first being held in the Philippines during the American colonial regime; and regrettably, in the town of Lipa, the election for the town’s presidency was already marred by controversy. 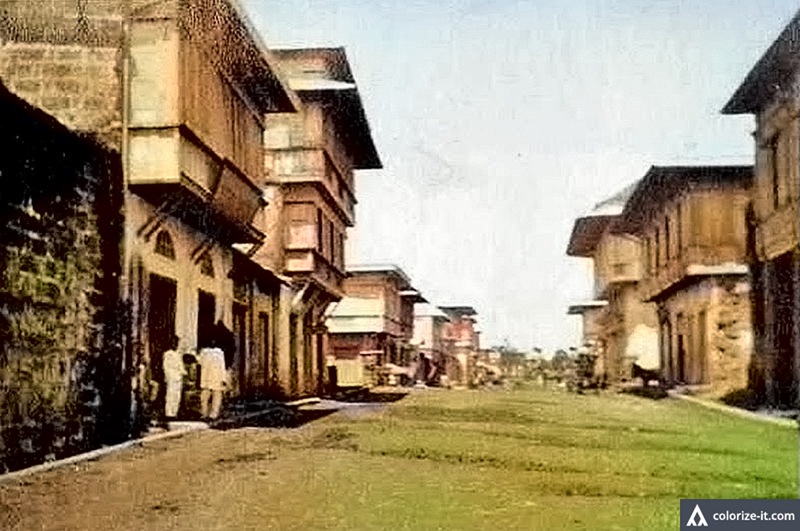 Olgado had been elected Municipal President over one Guillermo Catigbac during the election held on 5 November 1907. The following month, he took possession of the office to which he had been duly elected. However, in running for office, he failed to resign his position as a member of the School Board of the Municipality of Lipa, a technicality which therefore rendered him ineligible to run for Municipal President. Catigbac was aware of this; and within the same month filed a protest against Olgado’s election with the Municipal Council of Lipa. The council, after considering the merits of the protest, took the side of Catigbac and declared the Office of the Municipal President vacant. The decision would be affirmed by the Provincial Board of Batangas, which would also designate Catigbac as the town’s new President. To this, Catigbac filed a demurrer6 or a formal response or objection to the premises of Olgado’s suit. The main argument of the demurrer was that, according to the Election Code, the Court of First Instance had no jurisdiction over the case, a decision with which the court would concur. From this decision, we assume Catigbac would take over from Olgado as the town of Lipa’s first legally elected Municipal President during the American colonial era. 1 The main details of this article are taken from “Teodoro Olgado vs the Municipal Council of the Municipality of Lipa and the Provincial Board of Batangas,” online at the LawPhil Project. 3 “http://library.fes.de/pdf-files/iez/01361006.pdf,” by Julio Teehankee, online at Friedrich Ebert Siftung. 4 ““Report of the United States Philippine Commission to the Secretary of War for the Period from December 1, 1900 to October 15, 1901,” published December 1901 by the Division of Insular Affairs, (United States) War Department. 5 “Annual Reports of the War Department for the Fiscal Year Ended June 30, 1902, Volume XI, Acts of the Philippine Commission,” published by the War Department in Washington D.C. in 1902.